Recently attended Valparaiso's 'Brewfest' and found out about IBRU. I'm a student at Valparaiso University and have been brewing for about a year and a half now. Been doing all extract brews but looking to expand into the world of all grain here shortly. 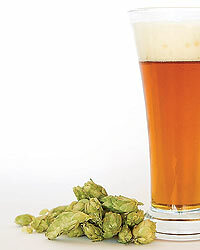 I've brewed different variations of IPAs, Irish Reds, Dunkels, an imperial stout, several german pilsners and a bock. Starting to get the hang of coming up with my own recipes and had some solid successes and have been quite pleased with how some of those have turned out. It'll be nice to have a place to shoot ideas around and see what some other brewers are doing. See y'all around. Welcome! The next meeting is Monday November 1 at Crown Brewing, hope you can make it. Welcome to the club! You'l find a lot of very knowledgeable people here, and hopefully get a lot of good ideas and info on your future brews.